Faculty members at Ohio State Newark are involved in research and many work closely with students on their research projects. Fourteen students participated in the 2011 Student Research Forum, submitting proposed and completed research as well as poster presentations.Ohio State Newark offers general studies coursework applicable to all undergraduate degree programs at The Ohio State University. In addition, upper-division courses in several departments are offered. 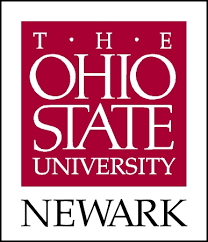 Entire degree programs may be completed at Ohio State Newark in the following areas: Early/Middle Childhood Education (B.S.Ed. ), General Business (B.S.B.A. ), English (B.A. ), History (B.A. ), Psychology (B.A. or B.S. ), and Social Work (B.S.S.W.). A Master of Arts in Teaching and Learning and a Master of Social Work are also available.